“In clearly defined fields of application, such as mining, farming and freight yards, the advantages of automation can show their strength very soon,” said Wolf-Henning Scheider, the company’s CEO, during a June 26 event for international media held here at the company’s headquarters to outline its worldwide strategy for developing and deploying various technologies, including electric power, integrated safety systems, vehicle motion control and automated driving. When it comes to the future of automated driving, he expects the commercial market to lead the way. That complexity exists, however, in areas where congestion becomes an issue, he noted. “We see the first potential in restricted areas,” Scheider said during a roundtable discussion with select media after his presentation, noting that the business case is easier to make for off-highway and passenger transport applications than for urban transportation. “The most difficult is urban traffic, so that I expect last,” he said. 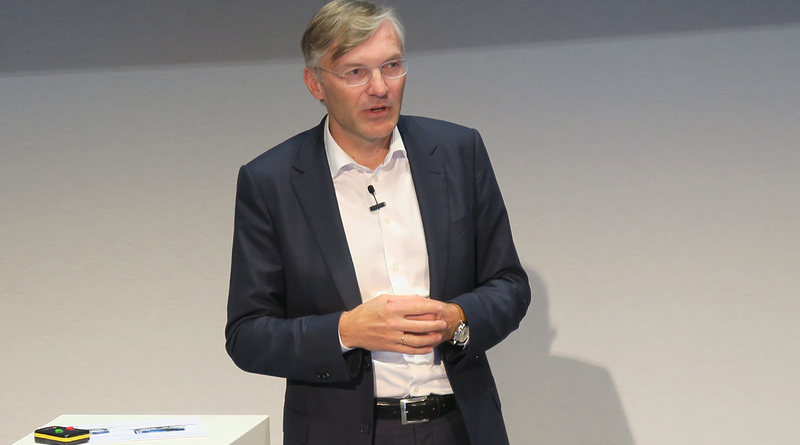 Scheider sees much broader applications for electrification of various powertrains, an area where ZF already has considerable exposure, he said. Between now and 2025, he said the company projects “broad market penetration” for these technologies. For example, he projects that hybridization could reach 20% penetration in the long-distance hauling segment by the early 2020s. He noted that ZF currently is conducting endurance testing with its Traxon hybrid transmission in partnership with an OEM, which he did not identify. Further, Scheider said that all-electric drivetrains could reach 20% market penetration for medium- and heavy-duty trucks by 2025, along with up to 30% penetration among city buses and delivery vans. Vehicle motion control, meanwhile, refers to the company’s efforts to address circumstances where drivers become distracted and shift focus from the road. At the event, he revealed a networking package from ZF that integrates steering, braking and electric power. Called Cubix, the program will, he said, have a “positive effect on the acceptance of automated functions” in light commercial vehicles, and will “revolutionize” the driving experience for passengers.